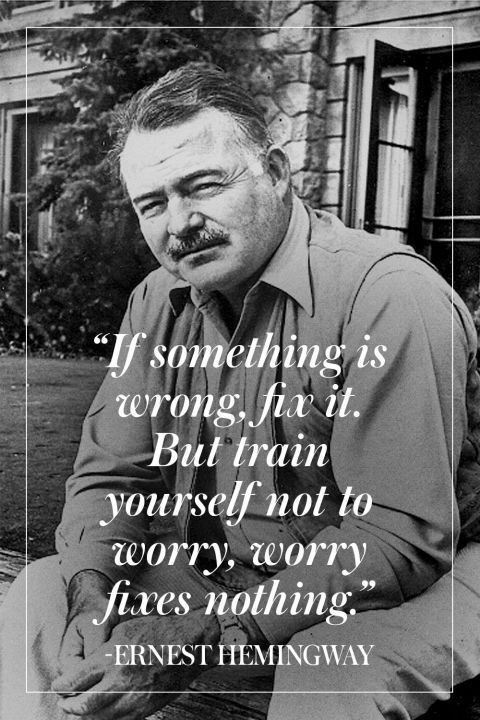 Worry fixes nothing wrote Hemingway. Do you agree? I do. Worry is nothing but another form of fear. And although a little fear isn’t necessarily a bad thing, we can never let if immobilize us. “Action is eloquence,” wrote Shakespeare, and again, experience has taught me that taking action cuts through any fear or worry. When we see something that is wrong there’s no need to worry or fret about it. Let’s just fix it. This entry was posted in Hunger & Poverty, News & Views, Quotes and tagged action, concern, eloquence, experience, faith, fear, fix, fret, Hemingway, quotes, repair, Shakespeare, training, worry on November 14, 2016 by Ray Buchanan.